Where the pygmies who found the dark souls at the dawn of fire reside. The Monument appears as a towering heap of bodies. To access the monument you must "show your humanity". To do so, you must become a sprite of Humanity. 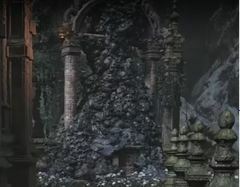 The monument can be used to request absolution and remove Sin, request dissolution to remove Curse, or to revive Judicator Argo. 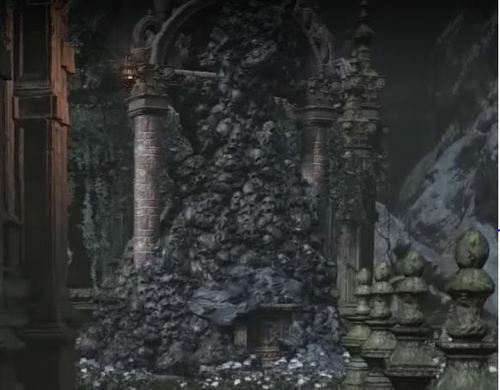 That's why I've come here, searching - for the purging monument, said to be in the Ringed City. Where the pygmies who found the dark souls at the dawn of fire reside.